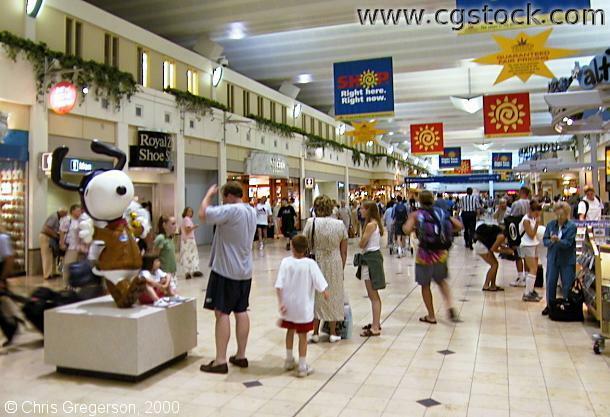 This is the retail area inside the main terminal at the Minneapolis/St.Paul International Airport. It's called "Northstar Crossing", and was remodeled recently. There is a food court to the right, and the ticketing area is to the left. Four concourses all connect with this hallway, two on each end.